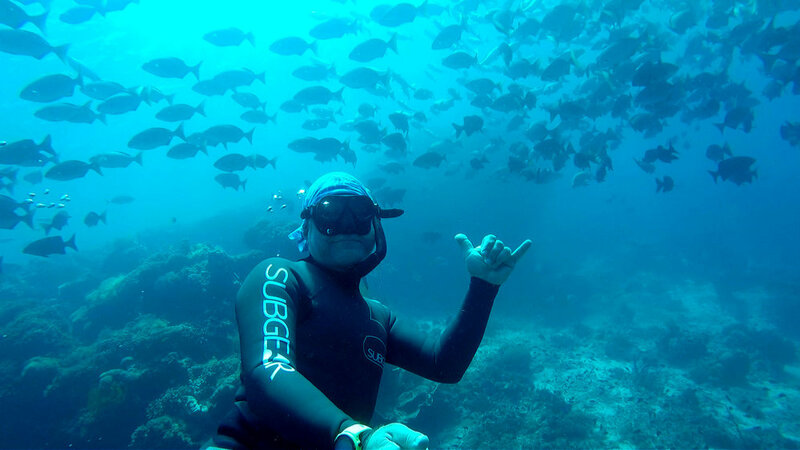 with over 20 years experience teaching p as an adventure guide, technical scuba instructor, PADI, SSI, RAID scuba instructor and now a WSF/RAID Freedive Instructor Trainer, Diggi brings in professionalism, quality and safety served in a way where you know this is exactly what he loves to do and to share. 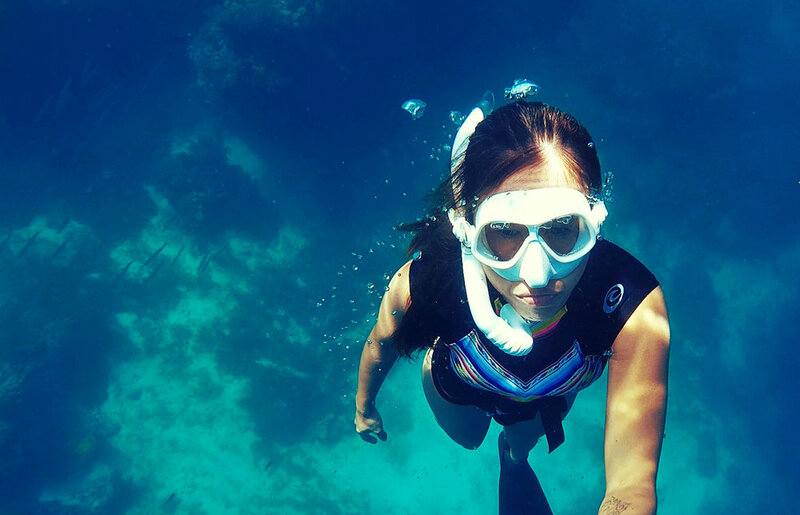 Naturally bringing you to a space where you confidently expand your comfort zone and begin to explore the leisure and professional world of freediving. is a 200 hour yoga alliance certified yoga teacher and the first WSF/RAID Filipina Freedive Instructor. Her 9 years experience in training and development gives her the flexibility and understanding needed to customize experiences/courses according to each person. As she shares her love for yoga, freediving and nature you simply slip into the moment as she gently nudges you into new territories. come from different backgrounds, nationalities, and places, with one common goal of creating a space where you feel safe to experience new adventures while being able to re-energize and rejuvenate in a naturally cozy environment.